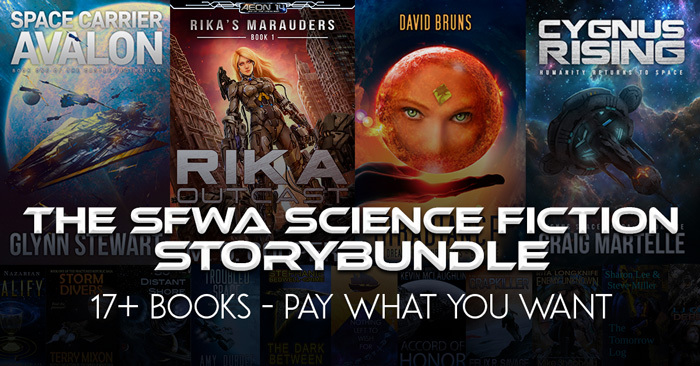 For a limited time, the largest storybundle SFWA has ever curated is now available. Bestselling and debut authors have created worlds where invasions are apocalyptic and space empires are in peril. The universe is beyond our understanding…and sometimes, what we don’t know can kill us. Aliens, warships, royalty, intrigue, and battle, sometimes fought only within one’s mind, other times with railguns, plasma beams, and blasters. Never a dull a moment as you choose from twenty full-length books. When we discover we’re not alone in the universe, will you be prepared? 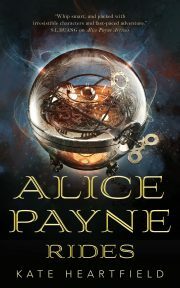 Head to Storybundle.com where up to twenty books by eighteen authors can be yours for a price you name! The bundle features New York Times Bestselling authors Michael Cooper, Mike Shepard, and Felix R. Savage, USA Today Bestselling Author Kevin McLaughlin, International Bestselling Authors Glynn Stewart, Craig Martelle, Jennifer Foehner Wells, Terry Mixon, Amy DuBoff, and much more! Get quality reads: SFWA has chosen works from excellent authors to bundle together in one convenient package. “Pay what you want” (minimum $5): You decide how much these fantastic books are worth. If you can only spare a little, that’s fine! You’ll still get access to a batch of exceptional titles. Give to worthy causes: Bundle buyers have a chance to donate a portion of their proceeds to the Science Fiction and Fantasy Writers of America! If you pay at least the bonus price of just $15, you get all six of the regular titles, plus ELEVEN more! Talented authors. Remarkable stories. One incredible science fiction collection. Don’t miss out. Founded in 1965, SFWA informs, supports, promotes, defends, and advocates for its members. It hosts the prestigious Nebula Awards at an annual conference, assists members in legal disputes with publishers, offers the Speakers Bureau, administers grants to SFF community organizations and members facing medical or legal expenses. Novice authors benefit from an Information Center and the Writer Beware website. Between online discussion boards, private convention suites, and a host of less formal gatherings, SFWA is a source of information, education, support, and fellowship for its members.